Provides real meaning to the use of statistics in the real world by using real business situations and real data while appealing students to know the why rather than just the how. 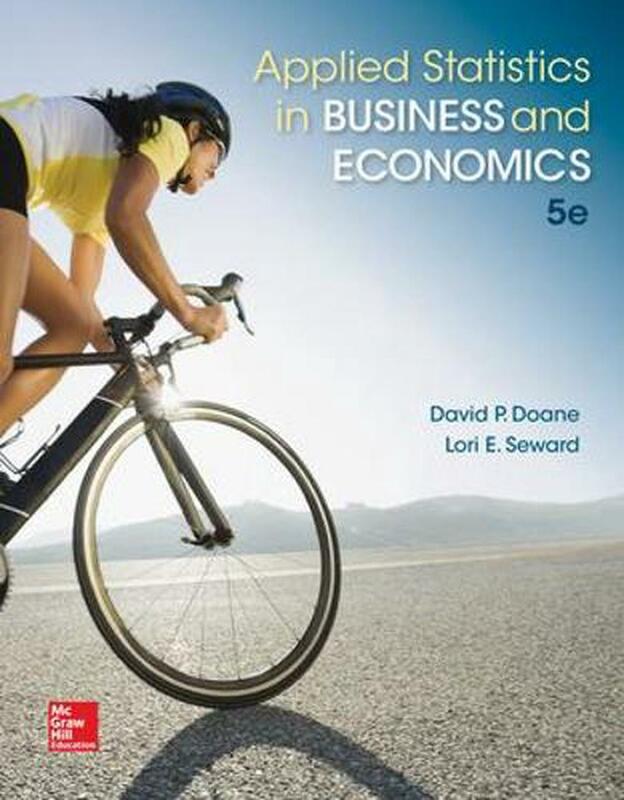 In this book, the emphasis is on: thinking about data, choosing appropriate analytic tools, using computers effectively, and recognizing limitations of statistics. Applied Statistics in Business and Economics provides real meaning to the use of statistics in the real world by using real business situations and real data while appealing students to know the why rather than just the how. Four distinct objectives have been met to follow this premise:Objective 1: Communicate the Meaning of Variation in a Business Context Objective 2: Use Real Data and Real Business Applications Objective 3: Incorporate Current Statistical Practices and Offer Practical Advice Objective 4: Provide More In-Depth Explanation of the Why and Let the Software Take Care of the How The emphasis of the 5th edition remains the same: thinking about data, choosing appropriate analytic tools, using computers effectively, and recognizing limitations of statistics. David P. Doane is Professor of Quantitative Methods in Oakland University's Department of Decision and Information Sciences. He earned his Bachelor of Arts degree in mathematics and economics at the University of Kansas and his PhD from Purdue University's Krannert Graduate School. Lori E. Seward is an Instructor in the Decisions Sciences Department in the College of Business at The University of Colorado at Denver and Health Sciences Center. She earned her Bachelor of Science and Master of Science degrees in Industrial Engineering at Virginia Tech. After several years working as a reliability and quality engineer in the paper and automotive industries, she earned her PhD from Virginia Tech.